1. How much will shipping and handling charges be? Parcel charges will apply to all ground and air shipments based on total cost of order. 2. 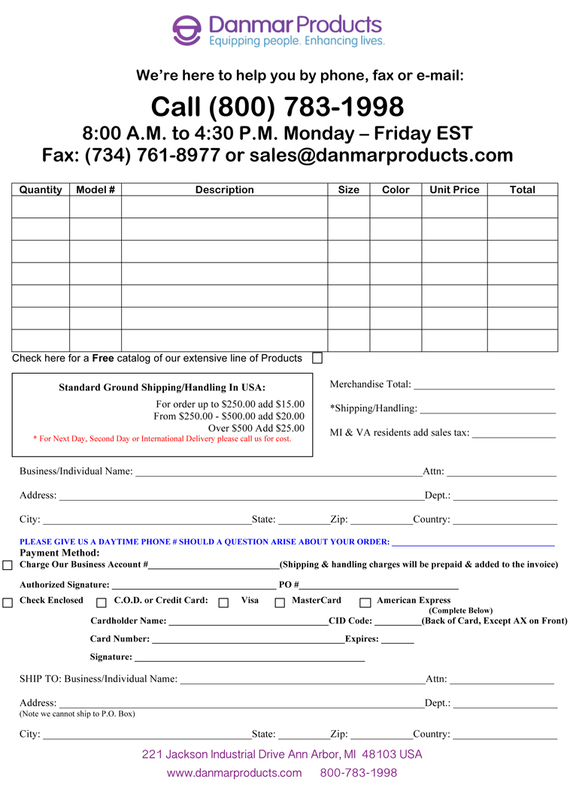 How do I get in touch with Danmar Products, Inc.? Please feel free to call us at 1-800-783-1998 between the hours of 8:00 am to 4:30 pm, Eastern Standard Time, or fax anytime at 1-734-761-8977. 3. How do I measure for a helmet? 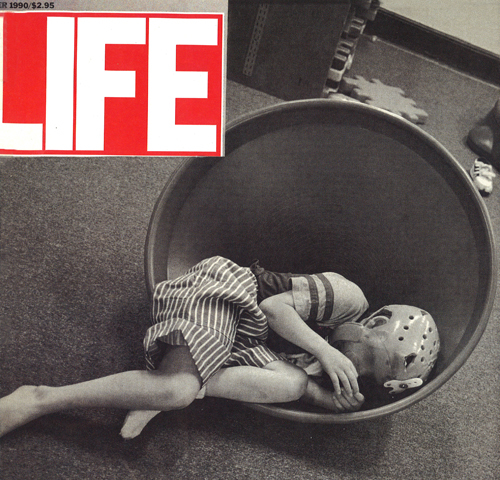 Measure the head circumference, measurement "A", at the eyebrow level. For measurement "B", measure from the front of the forehead to the back hairline, over the top of the head. For measurement "C", measure from just above one ear over the top of the head to just above the other ear. Those measurements can then be matched to our helmet-sizing chart to determine which size would be the closest to them. CUSTOM HELMETS have additional measurements: Measurement "D" is taken from the eyebrows to the bottom of the chin. Measurement "E" is taken from the eyebrows to top of the head, at eyebrow level following the contour of the head, to the point where it intersects with the ear-to-ear measurement. FOR EAR COVERINGS "F": Height of ears, "G": Width of ears, "H": Extension (distance that the ears extend from the head). Please contact us in regards to ordering a custom made-to-measurements helmet at 1-800-783-1998, Monday through Friday, between 8:00 am and 4:30 pm, Eastern Standard Time. Additional customization charges will apply. 4. How can I adjust the size of the helmet for my client? We do include some small foam pads for a little adjustment inside the helmet. We also have The Liner Cushion, item# 7635, that comes in 1/4" and 1/2" thickness to help form fit the circumference of our helmets. 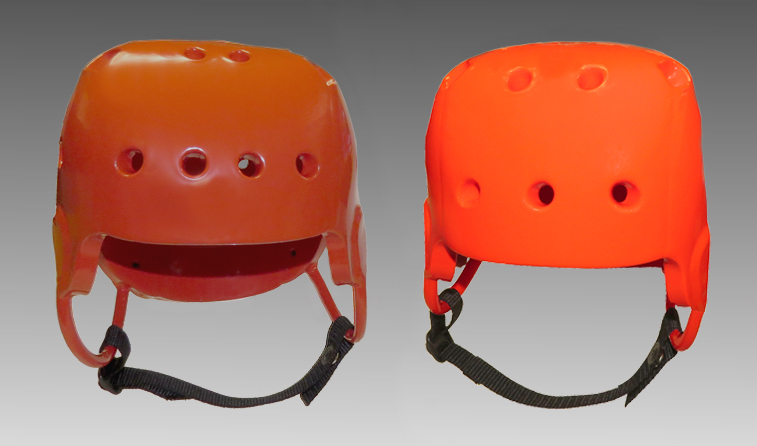 The 1/2" Crown Pad, item# 7633, adjusts the fit and/or prevents the helmet from falling over the eyes. Our 1/4" Liner Pads are 3 x 3 1/2" vinyl-coated discs that can be used for fitting and sizing adjustment. Last but not least, our Cush-in-Pads, item# 7637, are medical grade and perspiration absorbent pads that help individualize sizing and provide a cooler, more comfortable fit. 5. Do products from Danmar have any latex in them? No, they do not. They are composed of closed-cell polyvinyl foam. 6. Can we mount a Face Guard or a Face Bar to a Soft Shell Helmet? There must be a hard, stable surface in order to mount the bar or guard. The flexible surface of a Soft Shell Helmet would bend and not offer the same amount of protection. 7. How do I determine what style of helmet is appropriate? Always seek medical professional advice and input. 8. How do I know when a Face Guard or Face Bar is necessary? 9. How do I measure for a Head Support? There are two measurements that are needed: "A", measure the neck circumference (round off to the nearest 1/2 inch) and "B", measure vertically between the top of the shoulder to the bottom the ear lobe (round off to the nearest 1/2 inch and then subtract 1/2 inch to allow for clearance and head movement). Then match your measurements to the measurements provided in the product description. 10. How is the correct size for a Head Support determined when the measurements do not fall within the specs of the support? Please call us at 1-800-783-1998 Monday through Friday from 8:00 am to 4:30 pm Eastern Standard Time, to discuss the possibilities of a custom support. A Customization fee will apply. 11. How do I know which Trunk Support, #6610, #6611, or #6620, is the best? After reading the product descriptions you will see that while they are all supportive the differences are made to accommodate each individual user's preferences. For example, for some people, the Clear Chest Support is less obtrusive when going out into the community, while others may prefer colors to match their wheelchairs and express their personalities. 12. How do I determine the correct size for Swim Aids, especially if the swimmer is between the weights given? Check out the information and catalog pictures carefully, as there are many factors to base your decision on. Some of these include: height, level of ability, medical conditions, therapeutic goals and spasticity/rigidity exhibited. Consult with an Adapted Aquatic Professional who will be willing help in the selection process. 13. What are my color choices? Color options vary with each item; see color choices as they are listed with each product. 14. What Flotation Device do you recommend for my client who has a trachea tube? We recommend that you consult your therapist for the most suitable flotation device before making a purchase. Unused standard line merchandise may be exchanged or refunded for 45 days from invoice date. Due to their unique nature, CUSTOM ORDERS CANNOT BE EXCHANGED OR REFUNDED. 16. I have registered as a dealer, so why am I only able to see the retail prices? Please call us after you register at 1-800-783-1998 from 8:00 am to 4:30 pm Eastern Standard Time, Monday through Friday, and let us know. We can then give you access to the separate price list to ensure the utmost in confidentiality. 17. Where can I buy your products? If you are unable to locate a dealer please call us at 1-800-783-1998 from 8:00 am to 4:30 pm Eastern Standard Time, Monday through Friday, so that we can assist you in finding a dealer in your area. 18. Which Swim Aids work the best? Always seek the advice of a medical professional. There are many Adapted Aquatic Professionals who will help in the selection process. 19. What are strap options A, B, C for the chest supports? Top Strapping: The strapping on the top or yoke of the chest supports are the same for all styles. Quick-Release buckles attach at both points, with straps attached. Bottom Strapping: A. Each side of strap wraps around the back of the chair and buckles (such as in a Tumble form Application). B. The female ends of the two buckles are attached to the support, with one strap wrapping around the back of the chair. The male ends of the buckle then attach to the support at both sides. C. THIS IS OUR STANDARD OPTION. Quick-release buckles attach to adjustable pivot mounts at each side of the bottom of the chest support. Each buckle is attached to a short strap that mounts to the side or back of the chair. Products should be washed regularly in warm soapy water. Harsh chemical cleaners are NOT recommended for our vinyl coating. All Danmar Products are covered against defects in material or workmanship for 90 days from invoice date. Swim Equipment is covered for 1 year.